Fleas are the most common external parasites found in dogs. In addition to causing itching and other skin problems, fleas can assist in the transmission of an intestinal parasite known as tapeworms. With a heavy flea infestation, fleas have been known to bite people. The majority of the flea population (i.e. eggs, larvae, and pupae) are found off the pet and around the home. The flea life cycle consists of eggs, larval, pupa, and adult stages. Eggs are laid in the hair coat and are designed to fall off your pet into your home. Larvae hatch from the eggs and develop in a pet’s environment by feeding on adult flea feces (i.e. digested blood) that fall out of the hair coat of the pet. Larvae eventually spin cocoons, often within carpet fibres, for pupation. Pupae are resistant to freezing, drying, insecticides and can lie dormant for many months! New fleas develop from pupae and can begin feeding within hours of finding a dog. The entire flea life cycle can be completed in as little as three weeks. Ticks are skin parasites that feed on your dog’s blood. Ticks like motion, warm temperatures from body heat and the carbon dioxide exhaled by mammals, which is why they are attracted to such hosts as dogs and cats. When ticks bite, they attach to your dog’s coat and bury their head into your dog’s skin and then gorge themselves on blood. The bite itself is not usually painful, but the parasite can transmit diseases, such as Lyme disease, which is why tick control is so important. Ticks tend to be most active in late spring and summer and live in tall brush or grass, where they can attach to dogs and outdoor cats. Most people have no idea that fleas and ticks can kill. However, fleas and ticks are blood-sucking insects and enough fleas or ticks can cause a slow but still life-threatening blood loss. Fleas are most commonly noticed on a dog’s abdomen, the base of the tail and the head. In some cases, you may not see fleas at all on a dog if they are adept at licking them away. In those cases, you may only see the clinical signs associated with fleas. Common symptoms of fleas on dogs include droppings or “flea dirt” in a dog’s coat (small dark “grains of sand or pepper,” flea eggs, allergic dermatitis, excessive scratching, licking or biting at the skin, hair loss, scabs and hot spots, pale gums, and tapeworms. Most ticks are visible to the naked eye. Ticks are often the size of a pinhead before they bite, and not noticed until they have fed and swell with blood. The best way to find ticks on your pet is to run your hands over the whole body. Check for ticks every time your pet comes back from an area you know is inhabited by ticks. Ticks attach most frequently around the pet’s head, ears neck, and feet but are by no means restricted to those areas. 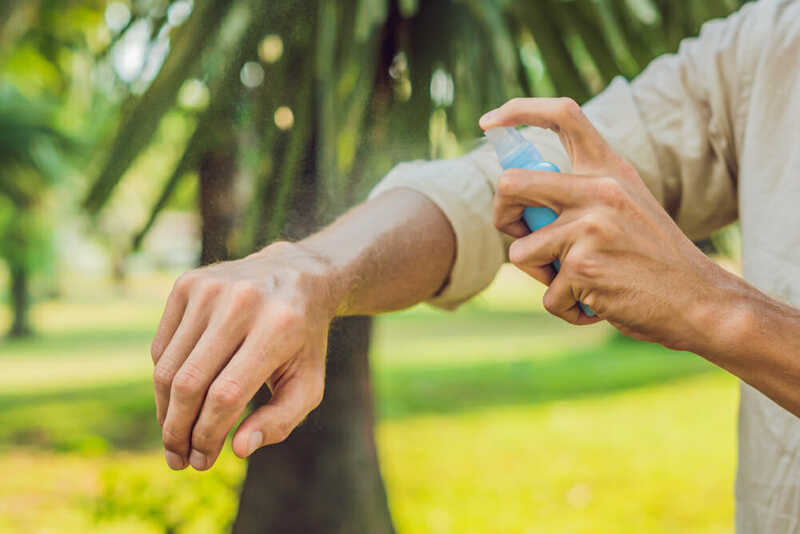 FLEAS – There are many preventative flea control products available, consult with your veterinarian to choose the product that will work best for you and your pet. Wash your pet’s bedding frequently. Keep the outside of your house free of organic debris, such as rake clippings and leaves and remember that fleas like to hide in dark, moist, shady areas. TICKS – Many of the same products on the market that treat fleas also kill ticks and prevent future infestations. Consult with your veterinarian about the best product for your pet. Ensure a tick-free lawn by mowing it regularly, removing tall weeds and making it inhospitable to rodents by keeping garbage covered and inaccessible. Most tick-borne diseases require the tick to feed for 24-48 hours before disease transmission occurs. Therefore, prompt removal of all ticks should help prevent tick-borne diseases. If you do find a tick on your dog, it is important to take care when removing it. Any contact with the tick’s blood can potentially transmit an infection to your dog or even to you. Prompt removal is necessary, but it is important to stay calm and not rush. If you are unsure how to properly remove a tick or do not feel comfortable removing it yourself, consult your veterinarian and they can remove it for you. The risk of disease transmission to you, while removing ticks, is low but you should wear gloves if you wish to be perfectly safe. Using a pair of tweezers, grasp the tick as close to the animal’s skin as possible. Pull straight upwards with steady, even pressure. Do not squeeze or crush the body of the tick because its fluids may contain infective organisms that could infect your dog or yourself. Do not apply hot matches, petroleum jelly, turpentine or nail polish because these methods do not remove the ticks and they are not safe for your pet. Once you have removed a live tick, don’t dispose of it until you have killed it. Crushing the tick or flushing it down the toilet will not kill it. Put the tick in a container with rubbing alcohol to kill it. Monitor the bite area over the next few weeks for any signs of localized infection, such as redness or inflammation. If infection occurs, please bring your pet and your jarred tick to your veterinarian for evaluation. If your dog is infected with a tick-borne disease, it will take 5-6 weeks before it will test positive on a blood test. 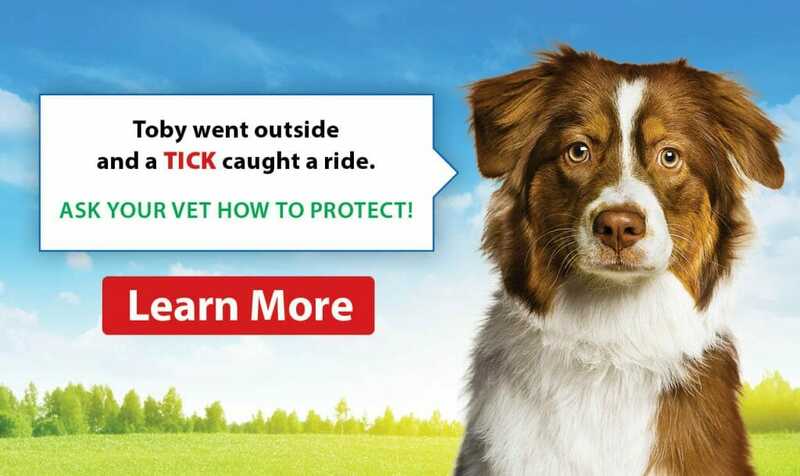 If you are concerned that your dog has been exposed to a tick, talk to your veterinarian about monitoring for tick-borne diseases and the common clinical signs to look out for.